A Promotional film that can be used as website video and social media advert. As a part of our ongoing partnership with Mitchells and Butlers, Green Gorilla Films were commissioned to create social media promotional films for Miller & Carter. 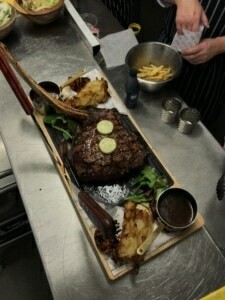 To produce an informative and creative film surrounding Miller & Carters’s infamous Steak School. Consequently, the film would be used at their yearly pride awards as well as on their website and social media. 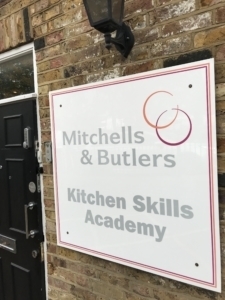 We have worked with Mitchell & Butlers several times on many of their brands, but this time we got to eat steak! 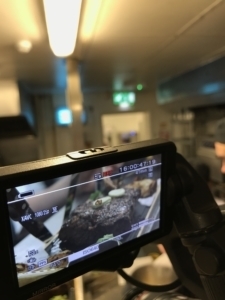 Miller & Carter sought a London video production company and we were able to meet their brief and furthermore, their needs. So, as a film production company our approach was to let the interviews and honest reviews from the Craft Guild Of Chefs lead the film. These are some of the elite catering figures in the country and it was great to hear what they had to say about Miller & Carter. 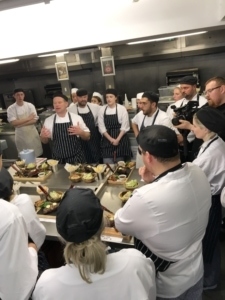 Miller & Carter Steak School was the back drop for the filming and it was great to see the passion that goes into their products. In brief, a promotional film that can be used on multiple platforms and easily adapted to suit current needs. Want a Promotional film to support your digital marketing campaign? Get in touch for a quote!